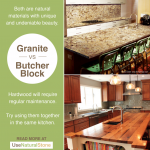 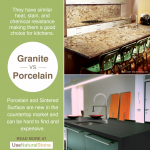 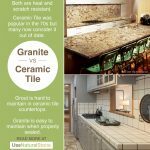 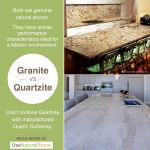 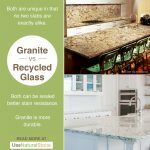 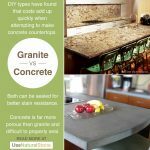 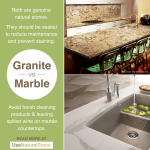 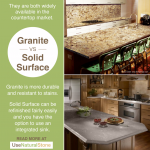 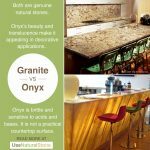 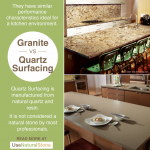 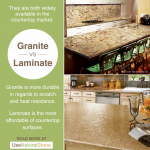 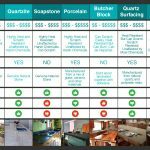 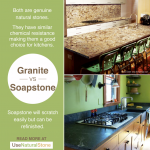 Granite vs. Limestone & Travertine Countertops | What Is The Difference? 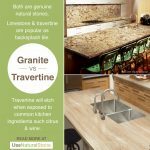 Limestone and travertine will etch when exposed to the acids and bases present in many cleaning products and common kitchen ingredients such as vinegar, bleach, citrus, and wine. 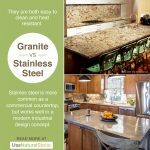 When a quality sealer is used, the countertop will be affected by non-pH-balanced substances since the sealer sits just below the surface. 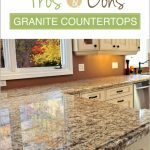 These stones are less dense than marble and granite so will also be more porous and require more sealer to prevent absorption of liquids. 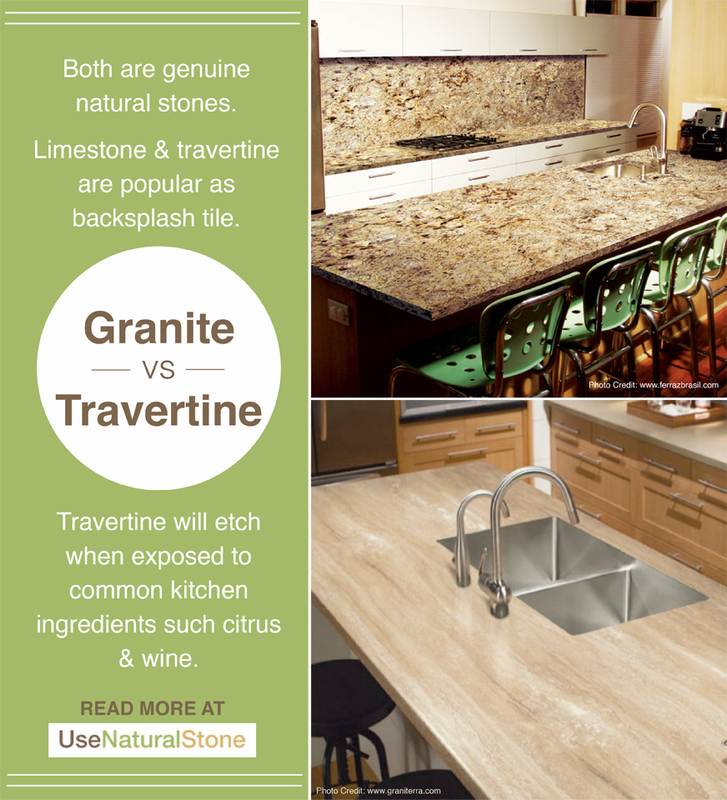 Limestone and Travertine are common and perform well as a backsplash. 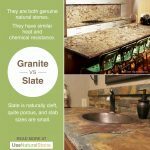 The classic old-world look they achieve is a nice compliment to more traditional countertop surfaces.